The Athena 501 is equipped to take on any stage of all sizes. 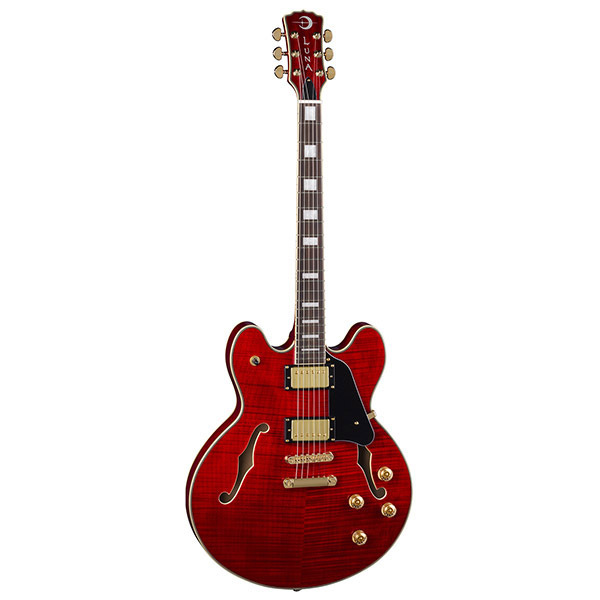 If youre looking for a sharp looking Semi-Hollowbody guitar for Rock, Blues, Alternative or any genre of music, take this gorgeous Flamed Maple top with you. This full electric guitar has incredible tone and beautiful features. From the detailed ripples on the Flame maple to the Gold Satin Hardware and Dual Humbucking Covered Pickups, specs are not an issue. Set V Neck. Offered in Gloss Natural or Trans Red.